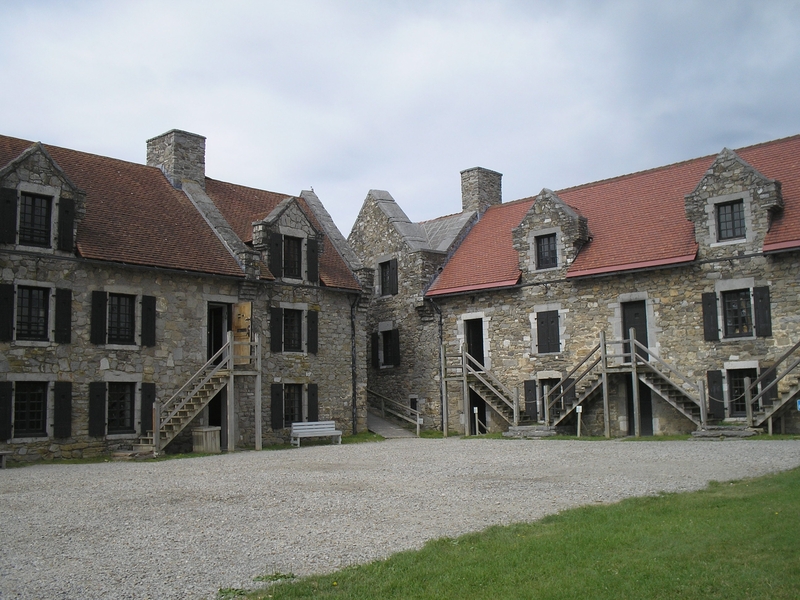 Additional Description: These are the officers’ barracks of Fort Carillon. The doorway at the top of the stairs in the center of the photo was where Ethan Allen demanded that British Captain Delaplace surrender the fort under the authority of "the Great Jehovah and the Continental Congress," on May 10, 1775. The quote is probably apocryphal, since the Continental Congress had not yet met at that time.